Margrethe Vestager (previously) has been the EU antitrust commissioner for five years, and now she is getting ready to step down (her party is unlikely to prevail next year, so she will likely be replaced), having presided over an unprecedented era of antitrust enforcement that has seen billions of euros extracted in penalties from Google, Apple and Facebook, with Amazon now under her microscope. Vestager formerly served as the Danish deputy PM and economy minister, as part of a centre-left, market-oriented party founded by her great-grandfather. Her record in Danish politics is something of a mixed bag (among other things, she presided over swingeing welfare cuts). She's got a much better record as antitrust commissioner. 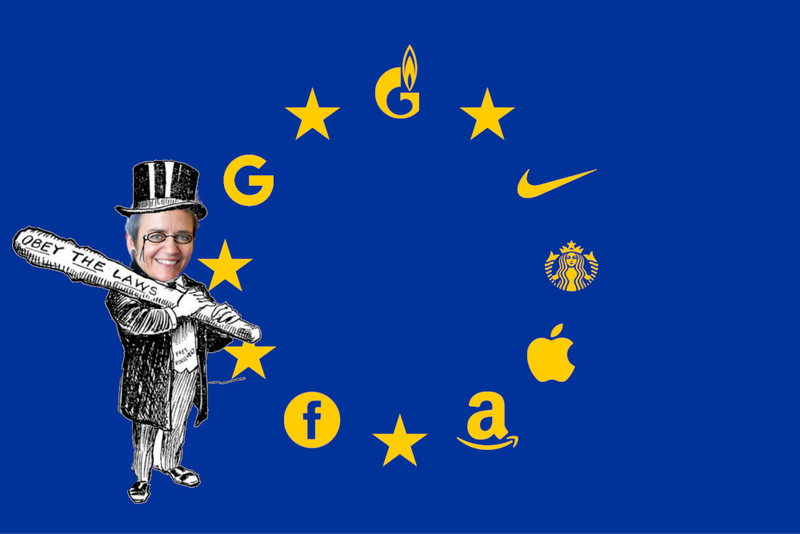 Her enforcement hasn't been limited to the tech sector: she's also gone after Starbucks, McDonald's, Nike, Fiat and Gazprom, taking on both anticompetitive behaviour and tax dodging (she's also done much to end competition among EU governments to create tax-havens that lure in multinationals to create headquarters-of-convenience). That said, her vision for the next steps of antitrust enforcement are a little...weird. For example, she wants to build on the GDPR's requirements to disclose how personal information is used by encouraging the creation of "Independent digital assistants that will make sure that your privacy settings are maintained no matter where you go." The upcoming EU elections are going to be game-changing in more ways than one. The insurgent parties are ascendant, and some are left wing, and others are far-right xenophobes, suggesting a kind of scaled-up version of the current state of Italian politics, which is to say: a mess.